I love your site and especially the teardown of the new Nook Tablet. If I may, I would like to correct a statement in your opening of this teardown. You state the Nook Tablet is, “B&N’s response to the Kindle Fire.” Actually, the Kindle Fire is Amazon’s response to the Nook Color which BN release in December 2010. 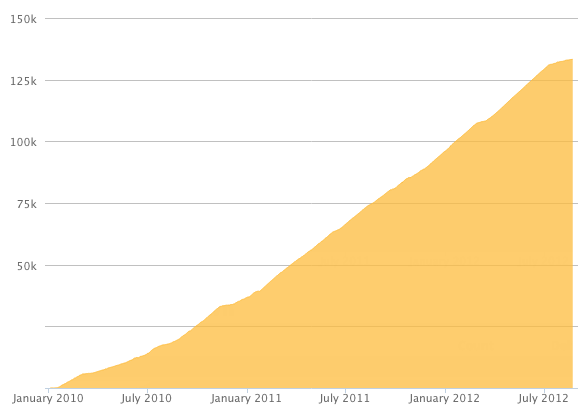 BN has been driving the market in e-readers since December 2009 when it released its first Nook. At that time, the original Kindle cost $300. Two weeks before the first Nook was released, Amazon lowered the price of the Kindle to $259 to match the price of the first Nook. The first Nook used the standard format for eBooks, EPUB -- which has been around longer than Amazon even knew about e-readers -- and allowed for the side loading of public library books. Kindle didn’t allow for any of that. In June 2009, BN released the Wi-Fi only Nook priced at $199. By then, BN was having a much larger impact on the sales of Kindle than the media wished to report. Amazon was feeling the heat so the day after the second Nook released, it lowered the price on its Kindles by $10 of the Nooks. In November 2010, BN released the Nook Color for $249 – again; it used EPUB and allowed public library books to be side loaded. Amazon had nothing like the Nook Color and still required its Kindle owners to only shop and load from the Amazon store. Sales for BN Nooks continued to soar even more because of its Nook Color, but the media still reported as if everyone was buying Kindle only. Amazon continued to try to make us believe such, yet it was feeling the competition. So, it announced in early 2011 that customers will be able to put public library books on its Kindles later in the year. I wondered how that would work; would Amazon start using EPUB? In the fall of 2011, Amazon announced this new change for its Kindles but they still would not use the EPUB format. The announcement made it appear that any public library book could be side loaded to a Kindle. Not true. Kindle can only access books from public libraries that use Overdrive! And, the customer still has to get the library books on the Kindle via the Amazon store. Control is everything in Amazon’s world. In August 2011, Consumer Reports did a new study for e-readers. It rated the then new Nook Simple Touch ($139) number one in e-readers. The ST is a touch screen e-ink reader. There was still no Kindle on the market that had a touch screen. Continuing to feel the heat, Amazon finally announced the Kindle Fire in November 2011 (does not support EPUB). And, they announced the Kindle touch screen e-ink reader (they also get rid of their ugly external keyboard). I hope now you understand why I claim that BN is driving the market in e-reader tablets. And, Amazon continues its frantic race to catch-up to BN. Amazon’s Kindle Fire is an attempt to answer BN’s Nook Color. But, still a year too late, Amazon has to play catch-up to BN’s Nook Tablet.